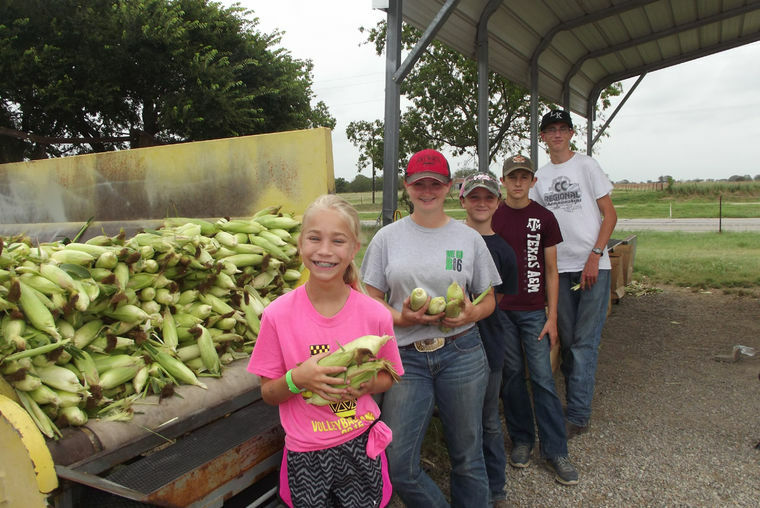 The Fuhrmann family and friends are in the 33rd year of operation of a road side sweet corn stand. The enterprise grew from one acre to now 24 acres of corn that is havested and sold to the public at the family’s road side stand. Pictured are the youth helping at the stand Tuesday morning, front to back, Katelyn Fuhrmann, Payton Dill, Emily Dill, Colby Metzler and Blair Martinson.